Life is now fuller, faster and more complex than it has ever been, say scientists and psychologists alike. The technological era, night and day stimulation and having greater choice in the way we live, work and connect with others makes modern living for most people feel pressured, even when things are seemingly going our way. This is impacting the body’s functioning, the state of our mental health and our underlying sense of purpose and values. We may not be able to change the modern landscape, but we can develop and sustain a balanced inner state and wellbeing through the experience and practice of deep rest. 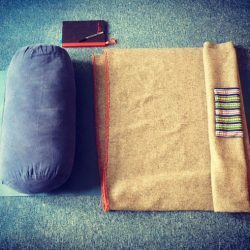 I want to share with you the practices and ideas that have helped me personally and many many others I have taught Yoga to over the past decade to find true rest and calm in their lives. This is a special weekend course and retreat designed to give you a path to rebalancing and restoring your body and sense of wellbeing. You are seeking to develop a place of inner calm, be it for health or spiritual purpose. 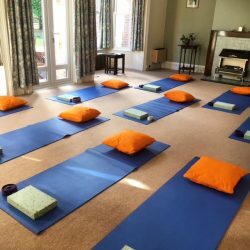 Beginners to yoga and meditation as well as seasoned practitioners will benefit from this course. If you are working with a health condition, and/or are taking medication, please talk to me first to find out if this course is right for you. 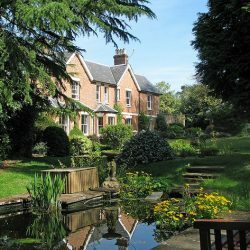 A beautiful secluded house and retreat centre in Surrey, 1 hour south of London. Accommodation is high quality, all ensuite rooms, and delicious home-cooked meals are included. £325 per place for single ensuite, or twin/double shared room.